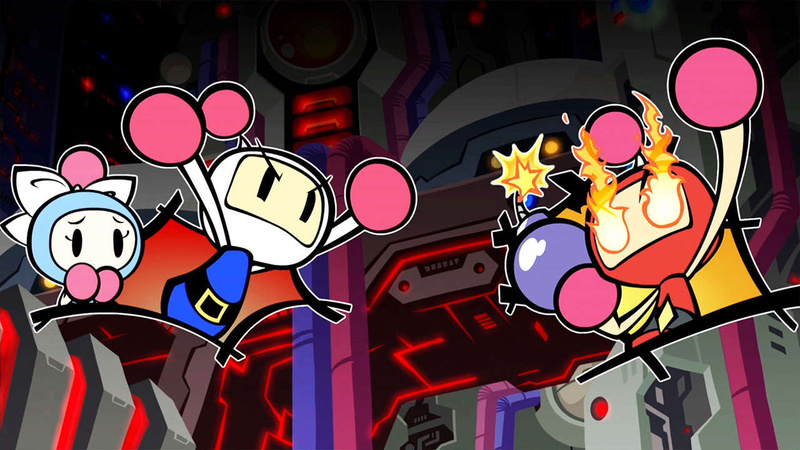 Konami has announced that Super Bomberman R will be updated to version 1.3 this Friday. The update - which will be entirely free of charge - brings with it a brand new stage. The other changes include tweaks to the difficulty level and "general improvement to the operations". 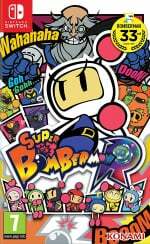 Are you still playing Super Bomberman R? If not, will this new update tempt you to return? Set off some explosives in the comments section below to tell us. So we got that trailer with several characters and stages shown off...then several weeks later we get one stage... better than nothing. I actually bought the game at launch but haven't started it yet, due to other things coming out after I was enthralled with Zelda. Man oh man so many things to play. I like a good Bomberman game with the classic style bomber arenas, as I enjoy them a lot. Although, I can't seem to find out if local play can sub in AI as your opponents. If you can play against AI opponents in arenas, definitely getting the game. Already like the look of Story mode. It reminds me, especially the bosses, of an old Bomberman game I own on Gameboy Color. I haven't played it ages. I actually bought this game at launch, but have traded it in. Not that it's a bad game, but I simply can't find the time for extended multiplayer sessions. Got Lego City Undercover, which isn't amazing or anything, but perfect for unwinding after work. Glad to see the people still playing Bomberman getting such a freebie though. I've been hankering for this for a while now, but what with Mario Kart 8 Deluxe and Puyo Puyo Tetris out next week, it'll have to go on a decent sale before I get it. Free DLC always helps though! I'm still playing this game (when I'm not in a mood for Zelda) my wife and I play the main game together and we do multiplayer with our kids and we've even had a few 7 player sessions when people have come over. It's been great! Yes. 2-8 players with any combination of human and AI controlled opponents. I haven't really played this yet. I am in a Zelda amibo whole with Twilight princess wolf and beating that so my wolf will have full hearts. I never did get around to beating it for the WiiU. So I have been Switching between Breath of the Wild and Twilight when I get frustrated with the shrines. Why do have to get everything in a game to beat it? I'll check this out when I get around to it. Been playing it here and there after beating it. Who would not want free DLC!? I like they are giving out free updates. It makes them look not as ridiculous with that horrendously overpriced $49.99 MSRP. I love Bomberman, going back to the SNES days, but they need to make the coins easier to get. Completing a world is maybe 400 to 500 coins, and each additional battle stage is over 2000 coins. While it does push replay ability, it does so in the worst possible way. It's a good game, farming for coins is a bit dull though. Any plans for a patch to make the controls not feel like complete garbage? The slight delay (Event offline, but escpecially online) makes this one completely unplayable for me. Even when there isn't delay, it just doesn't feel precise to me, hard to put my finger on why. I don't understand how they could mess this one up so bad. With a game so simple, the controls are paramount, and that's the one area they seem to have screwed up, badly. I much prefer playing Bomberman 93/94 or Bomberman Tournament (Yes, still on my GBA) at this point, as they control exactly as you would expect. @RupeeClock Me too. I played it a few times, but each time i start playing i ask myself "wait, why AREN'T i playing Zelda?" what they NEED to do is make it so coins arent so hard to accumulate. and yea, i hope the difficulty adjust affects the 1st part of the boss battles because I've done 3 already, but I cant help but think I won due to luck...and this is even on easy. @flapjackashley2 that is way too much for this game. I am waiting for a sale or price drop. Finally got to play this last weekend with a group of buddies and it was a riot, as hoped. Still feel the price sting a bit, but I feel better now. Importantly, my young son who used have a real problem when losing in head-to-head game fights also had a great time (he's mostly over that anyway) so I think we'll do this at home, too. The only issue is getting everyone to a basic level of skill first. There was another update that helped with controls a bit right? It seemed more solid when we played on the weekend. Don't think it was placebo. Considering this is Konami I'm surprise they give it to you for free. @NESlover85 Best Buy has had it on sale a couple of times for $39.99 and with their gamers club the price was $31.99. I picked it up then and it's a blast multi player. Played a few rounds of multiplayer and i didn't like the control too much. Even after the update the movement doesn't feel as solid as a Bomberman game should be. Haven't tried campaign mode yet. Hoping this update will improve AI as well. I might pick it up at some point when it's cheaper. This game was pretty fun. I agree with most of the comments here. The Lag is awful. That is the worst thing about this game. Even when I'm hardwired into the Internet. The difficulty on Easy was pretty tough. I had to use continues multiple times... but mostly because I blew myself up. lol. I love the local Multiplayer. So Fun. This has been the #1 co-op game at my house since launch, beating out even the wonderful Snipperclips. Awesome that we'll get extra content before Mario Kart 8 D releases, because I'm pretty sure that'll consume most of our playtime once it's out. @markie7235 Totally agree the coin system is garbage. One of the few games I've opted to play mostly on easy because I feel the other modes penalize you much too harshly when it comes to coins. @JedRock I'm glad to hear others are having difficulties with the first half of boss battles too, I thought it was just me and is the reason I never went beyond world 3 in this game, the bosses were too annoying and frustrating, and like you I felt I only won them due to luck, or entering with the "right" powerup that made it easy to cheese (but impossible without it.) I think I just ran frantically in circles dropping bombs and my one time clearing world 2 I didn't even think I got him but somehow did. It was the opposite of fun. Combine that with having to start the whole world from scratch after getting wasted by the boss and running out of coins...yeah...I hope this fixes it! All I want is a fix for the online mode's lag. It's so much fun that I still manage to play in spite of the issue from time to time. Still, this game would be a classic online multiplayer if they would just sort out that problem. @leo13 @Jellitoe @OneArmedGiant Thanks. Going to get the game. Now that I'm done with Zelda, this might be enough to make me take the plunge. I love Bomberman anyway. Still playing? I've not even started! Bomberman is probably the Game I've played least so far, not by any fault of its own, just not have a good opportunity for full on multiplayer yet, after all, I only have three controllers at the moment. @Zeargo That's great to hear! I hope you enjoy it as much as we have. It does but the Com AI is to the point of being unfun. My brother and I sat and watched multiple matches where it's sudden death and the arena is collapsing and multiple AI survived to the final 2 squares. That's one example. @Darkthany we like to team up against the AI players. We frequently beat them, but not always. @Proust Huh? why so much dissapointment? Hoping they fix the AI a bit after I finish the single player mode not sure if i'll be able to have the patience to keep this in the long run otherwise. My nephews got absolutely destroyed by the AI and I only beat them once this past easter weekend when i played it for the first time. Also the stages definitely feel a bit blah. Not a horrible game just feels like it needs to be fleshed out more, and it was a bit over priced for the lack of map variety and lack of AI control i felt. When you can, maybe unlock Karaoke Bomber first. She has been useful against the bombers with her special. So...will you review it again and give it a 9/10 this time? Hopefully they fix the economy. It is WAY too hard to get coins to unlock things. Give them in local multiplayer or k cut the unlock prices by 90%! Oh it ain't free. It was included in that up front $50 price tag. Sweet! Bought it at launch...will get to it after Zelda. The levels are rather generic and simple (for the most part) so "ONE" new level isn't all that exciting. Tweaks to difficulty level are probably the best bit of news there, though i'm guessing that it's mainly aimed at the Story mode (AI bosses are too precise even on the easiest setting, so I imagine it'll adjust the lower difficulties). Would still be nice to have a Level 1 - 9 level difficulty option (or something along those lines) for bots though. @dougphisig - the only trick that I found that generally helps immensely each run is if you die the first time, use the limited 'respawn invincibility' by spamming bombs, essentially creating a fiery trail of destruction. If you're fortunate enough you should be able to reach the boss in time to get that 'one-hit KO' that's required. I've tried using Plasma Bomber's short fuse bomb with a glove (i.e. stunning them by bouncing it off them) but it hardly helps. EDIT - Okay wow, they added quite a large number of good fixes. Some of what I expressed in my post has actually been addressed (especially the difficulty stuff). I just tested it out on a 'weak' bot and won with reasonable comfort (but not so stupid that it kills itself in 5 seconds - fell prey after a few attempts at lobbing bombs across to its side of the stage with glove). Makes me wonder whether these were intended fixes but didn't make the cut, or if they're simply post-release fixes made real-time and in hindsight. Either way this is a good update. I felt the need to come back here and address my original post (#18) about the garbage controls. I made the comment somewhat tongue in cheek, thinking they would never fix it, but believe it or not it feels way better after the update. From what I've read elsewhere, Konami actually dropped the resolution of the game with the latest patch. Sounds like a downgrade, but the visuals aren't impacted that much, and the games frame lock was upped from 30FPS tp 60FPS. This makes the game infinitely more playable, and the controls no longer feel like complete rubbish. I've played this game for less than 2 hours so far, but with this latest update, I can finally give it a play. The bad news? Online still feels just a bad. Oh well. At least I can finally get in some couch co-op, which is what I purchased this game for in the first place. EDIT: I believe it was Ars Technica that wrote the article on the resolution/frame rate, if anyone else is interested. @JedRock That's the thing that keeps me from really playing much. It's annoying getting to he end of a world, only to face a "random instadeath" battle.